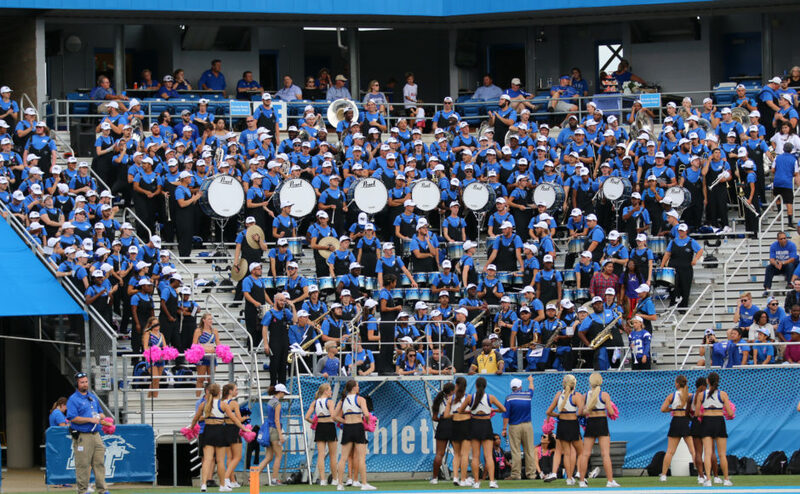 The Middle Tennessee Blue Raiders (3-3, 1-1) brought home a 37-17 victory over the Florida International Panthers in their 2017 homecoming game. 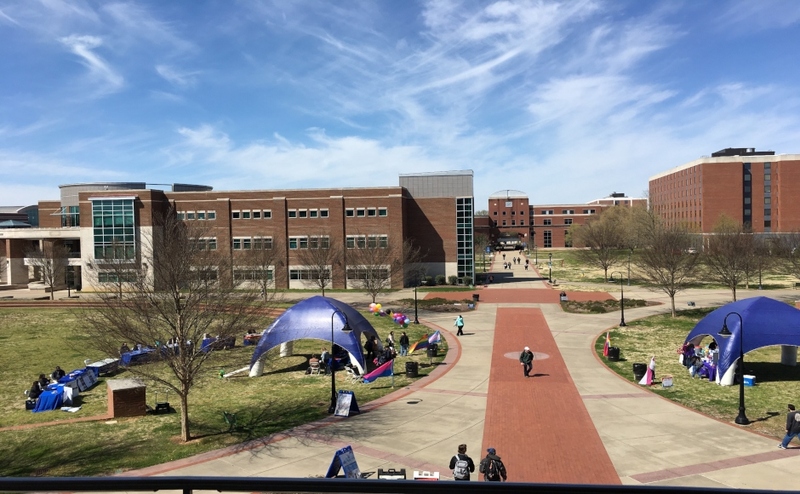 This marks the first time in three seasons that the Blue Raiders have won their homecoming game, losing to Western Kentucky and Vanderbilt the previous two seasons. 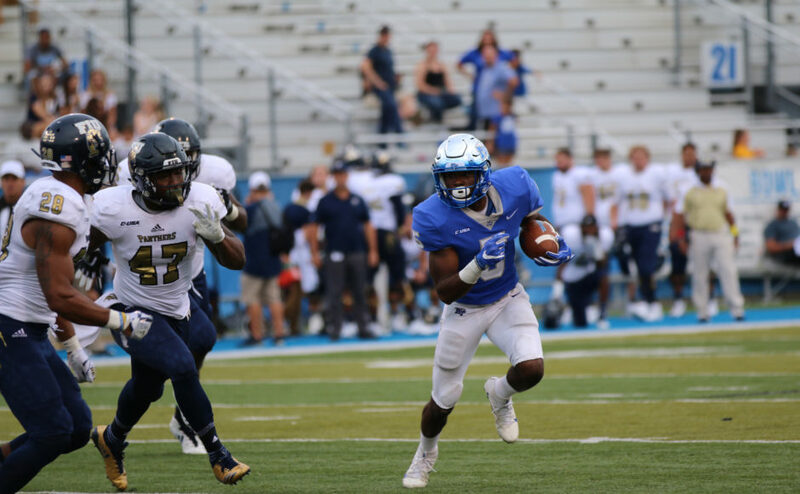 Linebacker Tavares Thomas gave the surprise performance of the game and contributed three rushing touchdowns to lead a balanced attack for the Blue Raiders. 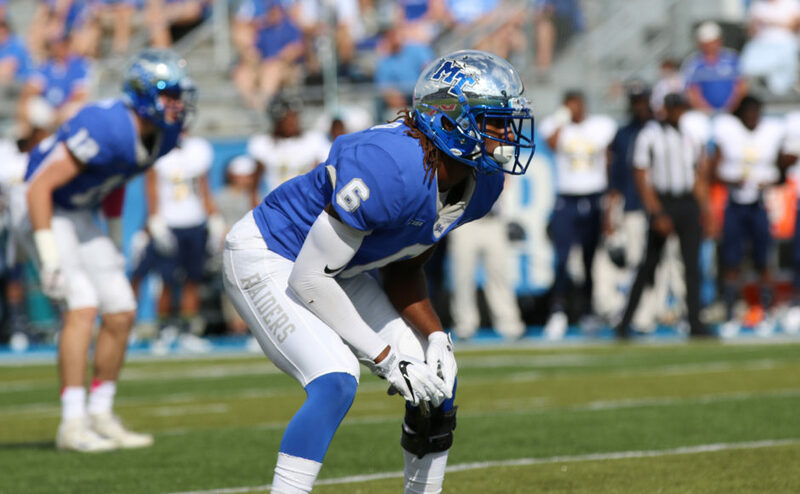 On the defensive side of the ball, linebacker Khalil Brooks had a banner day for Middle Tennessee. He recorded a school record-tying five tackles for loss and three sacks to lead the Blue Raider defense in a dominant performance. 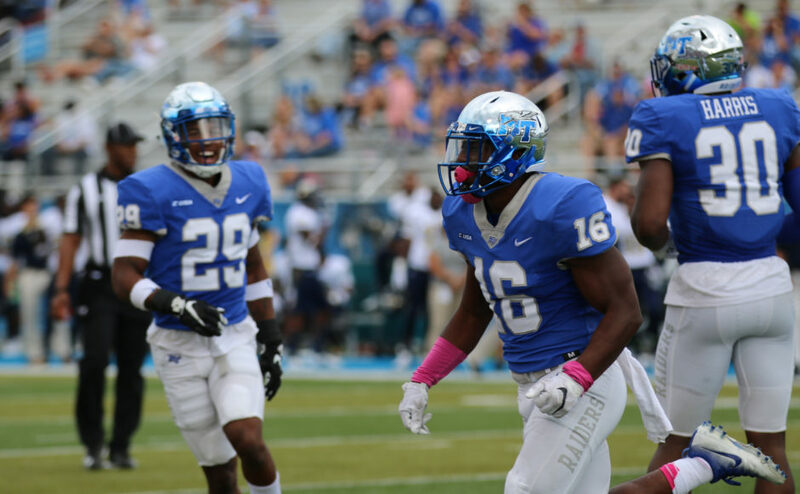 MTSU cornerback Mike Minter waits on the play to begin against the FIU Panthers on Oct. 7, 2017, in Murfreesboro, Tenn. (Devin P. Grimes/MTSU Sidelines). 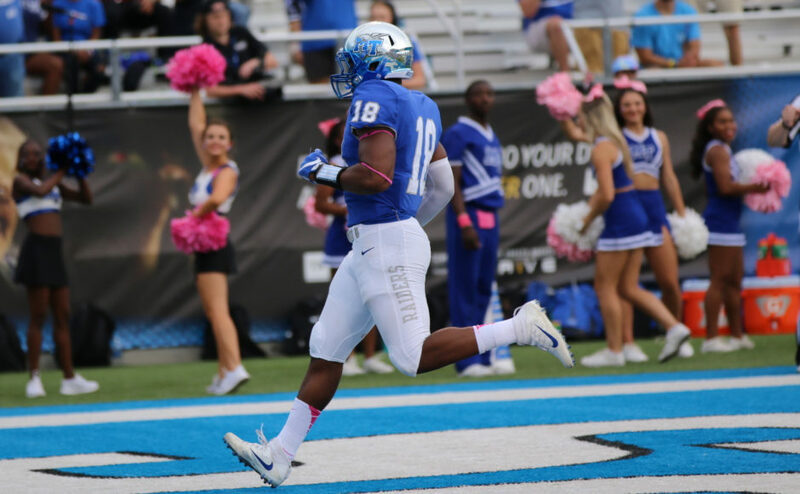 Tavares Thomas has a banner day, rushing for his first three career touchdowns against the FIU Panthers on Oct. 7, 2017, in Murfreesboro, Tenn. (Devin P. Grimes/MTSU Sidelines). 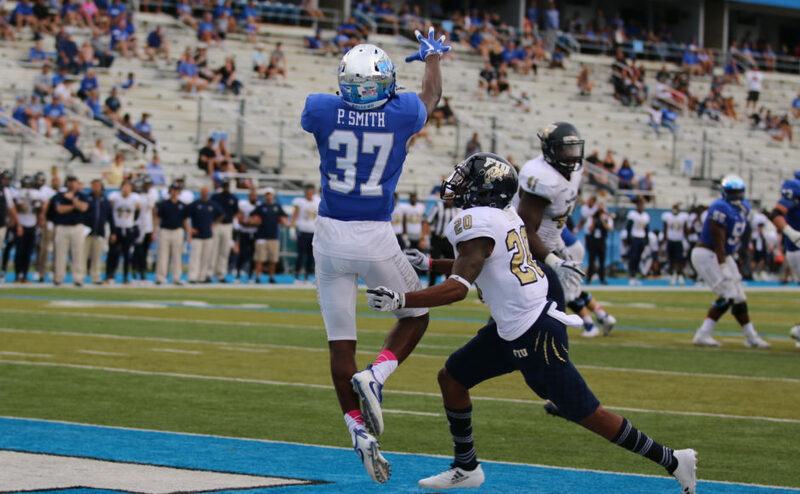 Patrick Smith goes up for a pass against the FIU Panthers on Oct. 7, 2017, in Murfreesboro, Tenn. (Devin P. Grimes/MTSU Sidelines). 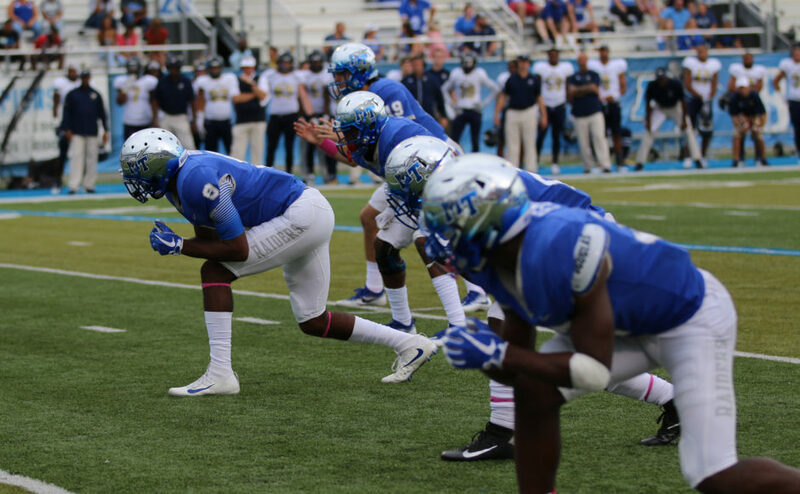 Linebacker Khalil Brooks records five tackles for loss and three sacks against the FIU Panthers on Oct. 7, 2017, in. Murfreesboro, Tenn. (Devin P. Grimes/MTSU Sidelines). 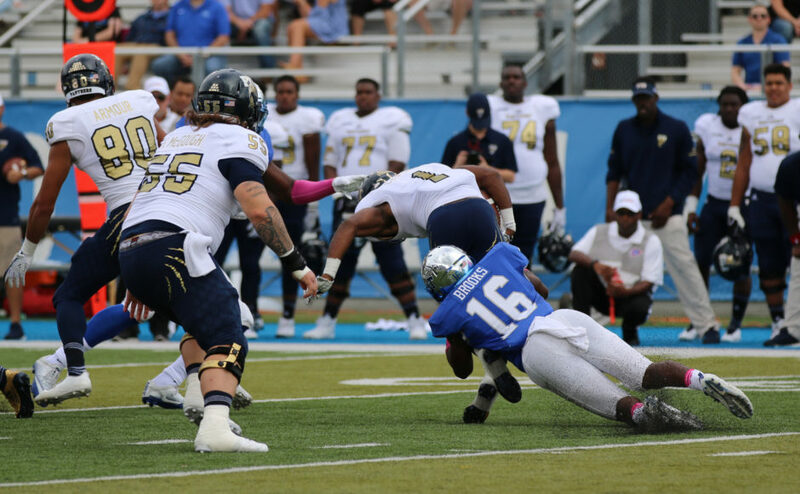 Redshirt sophomore Khalil Brooks records five tackles for loss and three sacks against the FIU Panthers on Oct. 7, 2017, in. 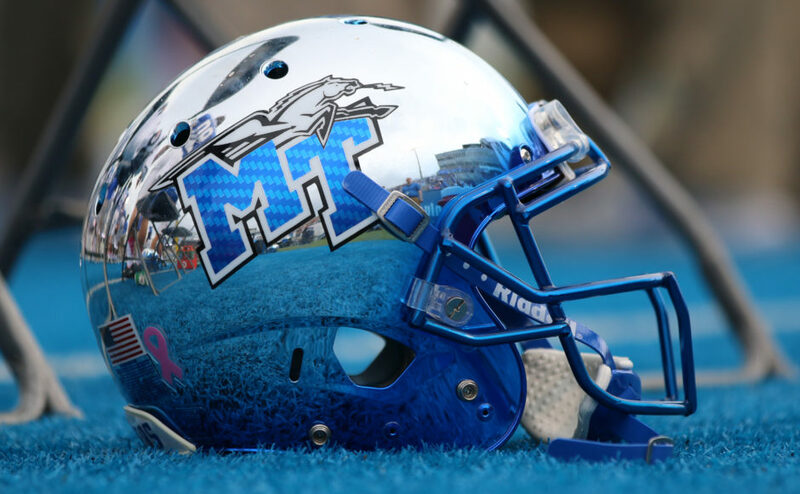 Murfreesboro, Tenn. (Devin P. Grimes / MTSU Sidelines). 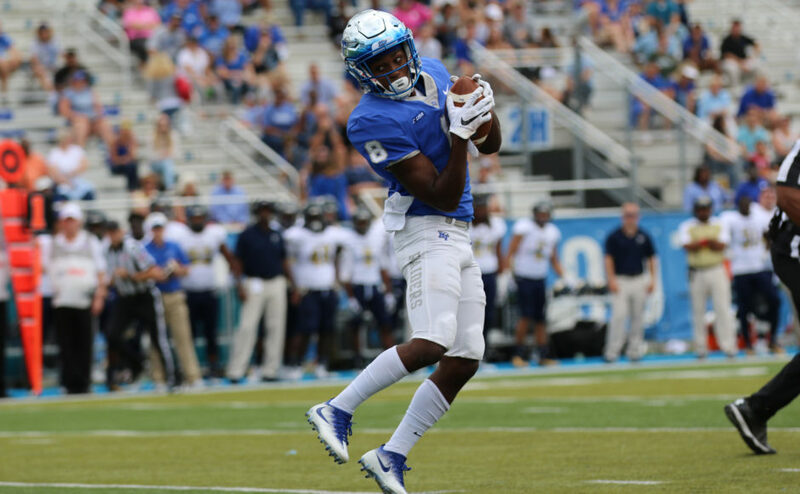 Ty Lee makes a catch against the FIU Panthers on Oct. 7, 2017, in Murfreesboro, Tenn. (Devin P. Grimes/MTSU Sidelines).